Mali's constitution provides for a multi-party democracy, with the only restriction being a prohibition against parties based on ethnic, religious, regional, or gender lines. 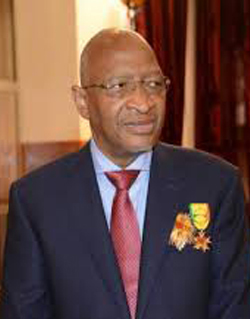 Mali has a tripartite system of government consisting of executive, judicial and legislative branches. Executive: president (head of state and commander in chief of the armed forces). Legislative: National Assembly is the sole legislative arm of the government; currently consisting 147 members. Judicial: Supreme Court with both judicial and administrative powers. 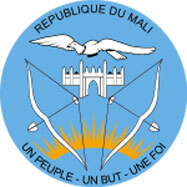 Political parties: Mali is a multiparty democracy. Eight political parties are represented in the National Assembly; others are active in local government. Administrative subdivisions: Mali is divided into eight regions and the district of Bamako, each under the authority of an appointed governor. Each region consists of five to nine districts (or Circles), administered by commandants. Circles are divided into communes, which, in turn, are divided into villages or quarters. The decentralization process has started with the establishment of 702 elected municipal councils, headed by elected mayors.
" 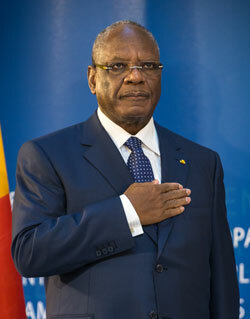 Un Peuple, un But, une Foi"
The National Anthem is "LE MALI". © Copyright by Mali Embassy. All Rights Reserved.